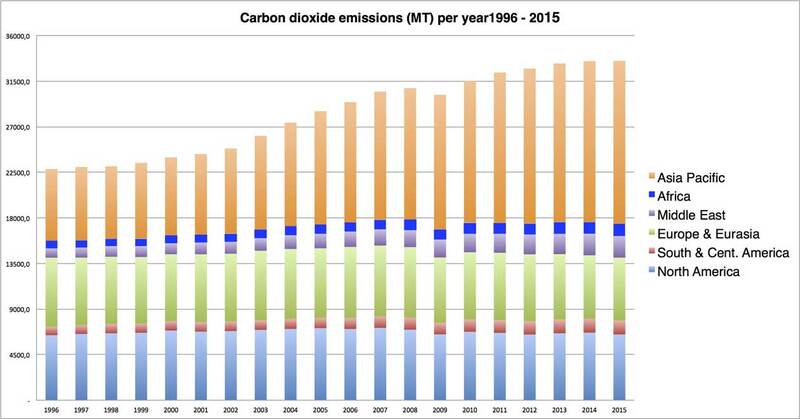 The below charts provide data for global carbon dioxide emissions per year and region during the period 1996 to 2015. 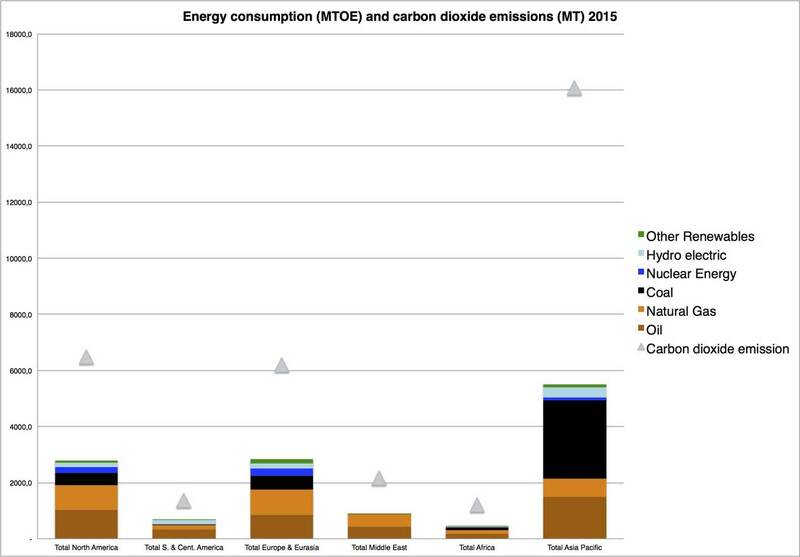 The numbers presented for carbon dioxide emissions only reflects emissions through consumption of oil, gas and coal for combustion related activities, and are based on the ”Default CO2 Emissions Factors for Combustion” given by the IPCC in its ”Guidelines for National Greenhouse Gas Inventories” (2006). 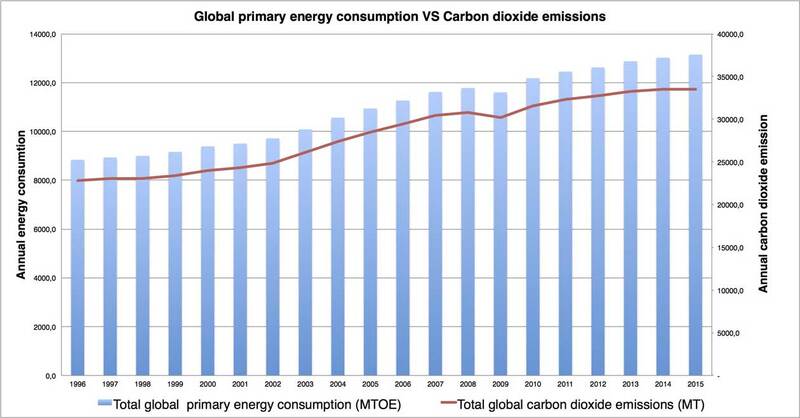 The numbers do not allow for any carbon that is sequestered, for other sources of carbon dioxide emissions, or for emissions of other greenhouse gases.